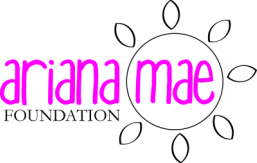 The Ariana Mae Foundation offers compassionate financial assistance and kind acts to families after the loss of a child and to families raising children with life-threatening conditions. Both situations, while different, can produce intense emotions of grief. We understand that grief is not finite. It ebbs and flows with little predictability. While we can never lessen the heartache, we hope that kindness can help lighten the burden of day to day life and perhaps, offer a little sunshine. We also proudly support the efforts of the Sudden Unexplained Death in Childhood Foundation and the Dravet Syndrome Foundation.